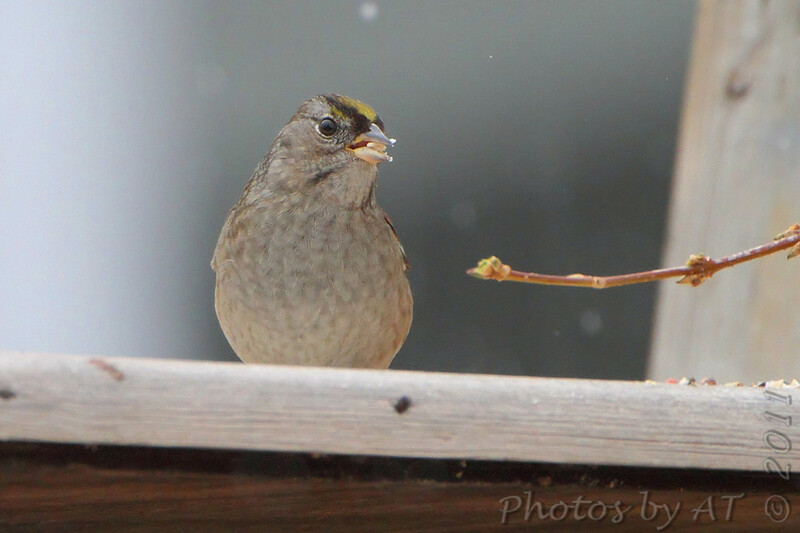 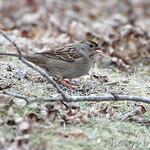 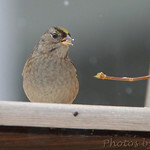 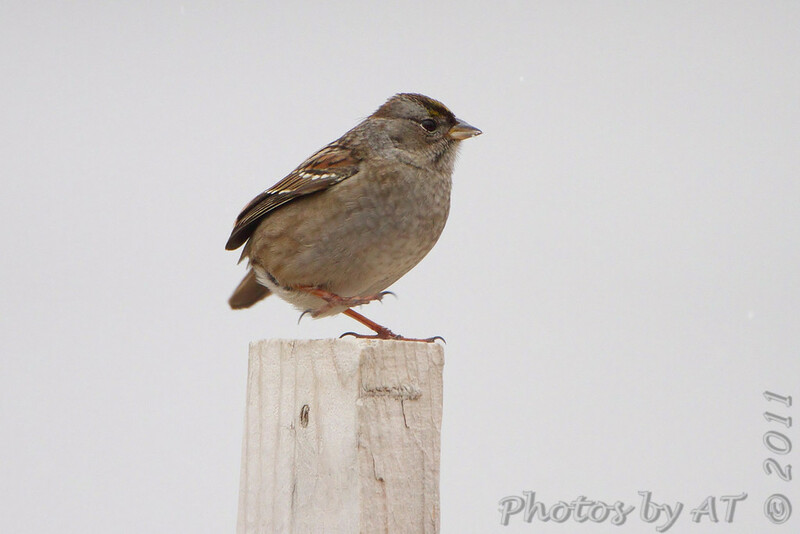 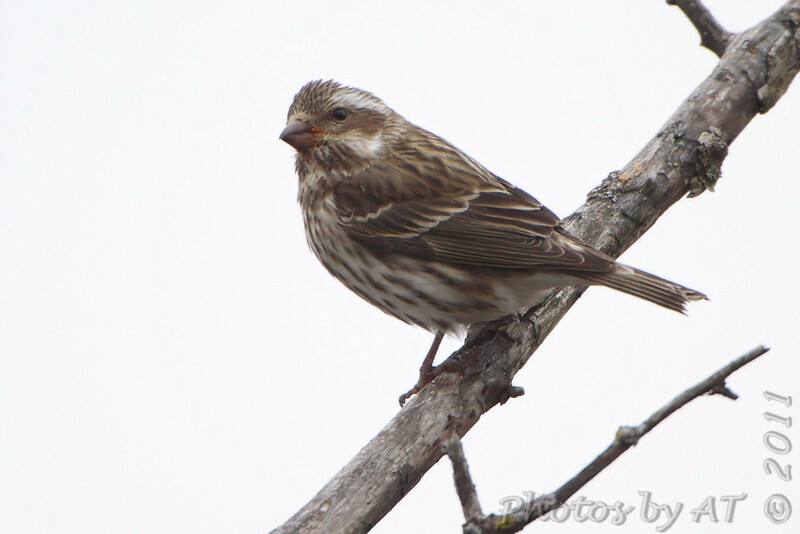 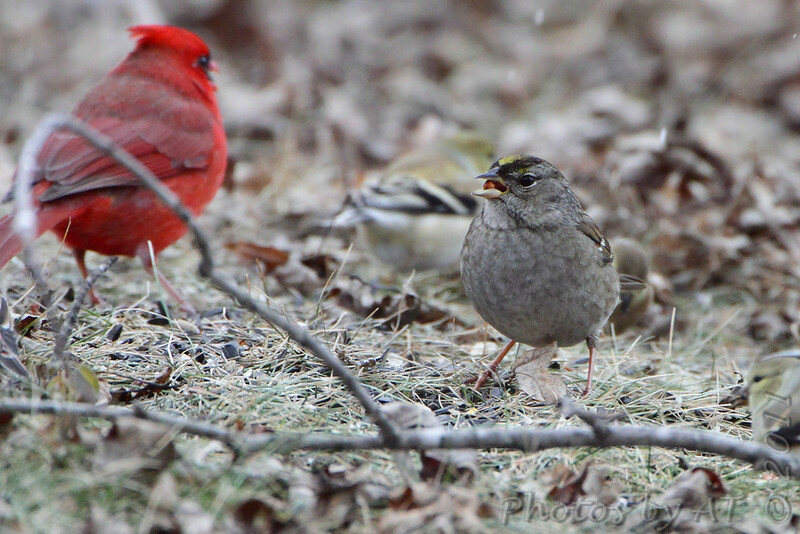 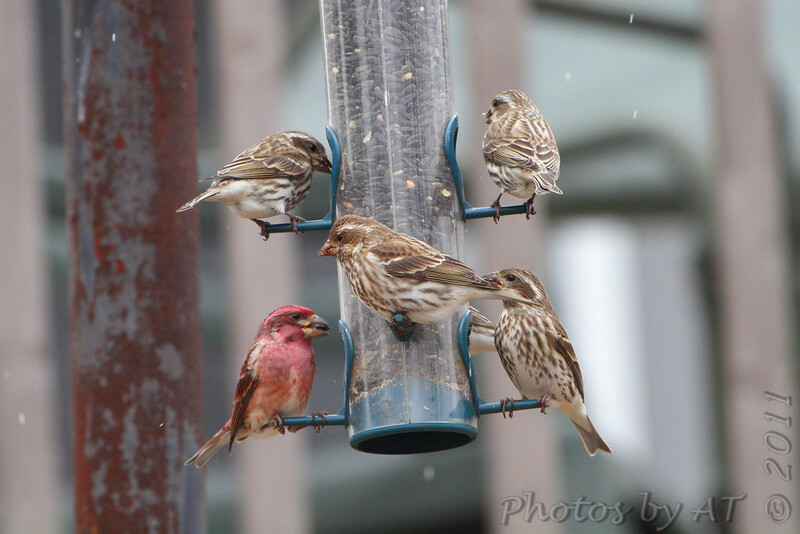 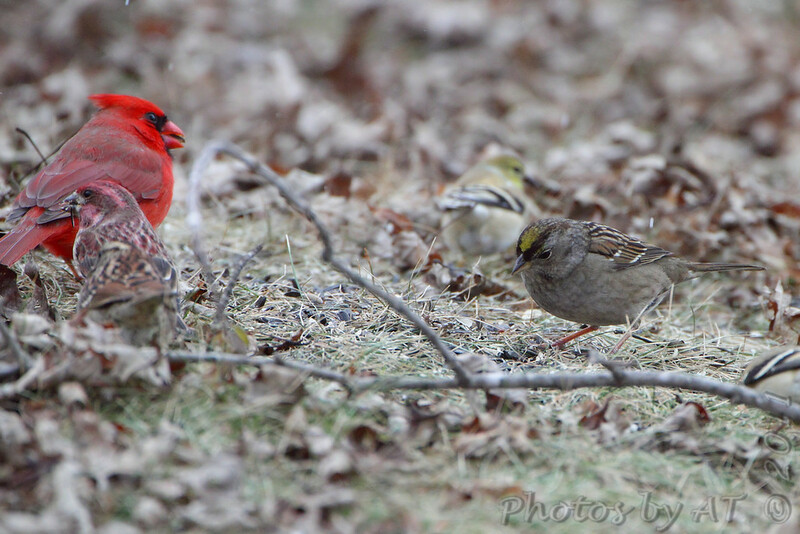 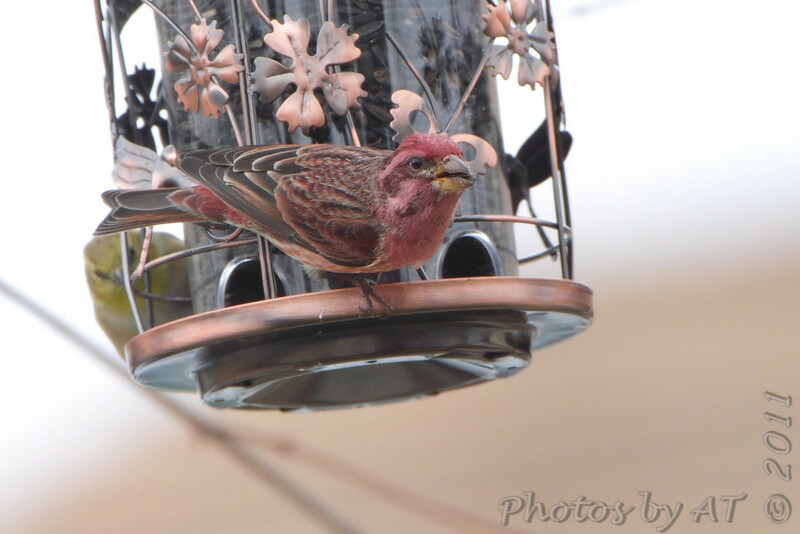 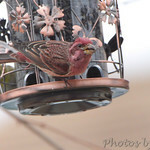 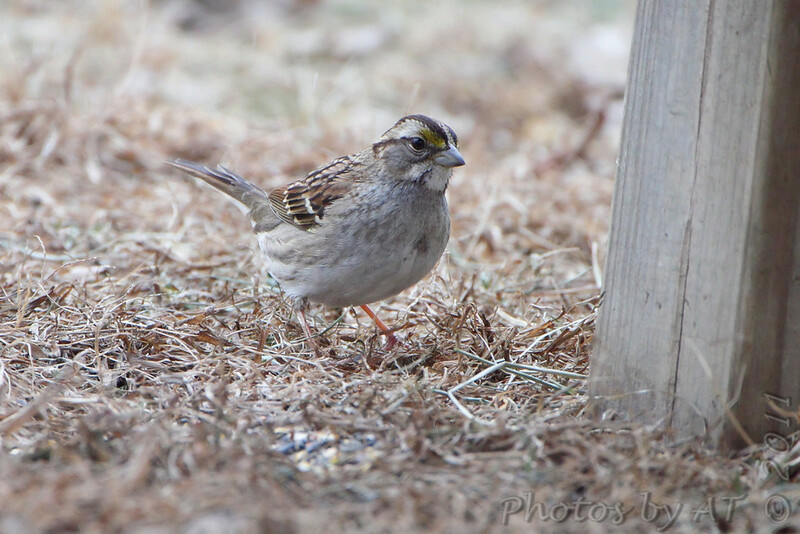 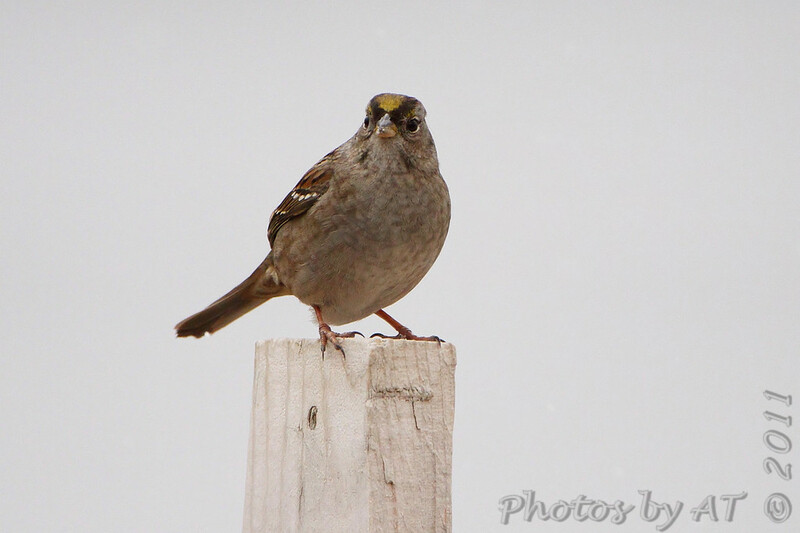 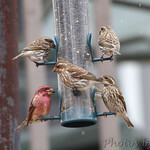 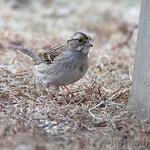 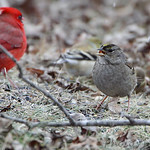 A Golden-crowned Sparrow showed up at a feeder at Linn in mid Missouri Sunday afternoon. 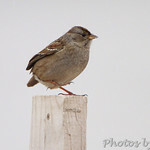 Paul and I were out'a here for a two hour drive very early Monday morning despite a forecast of 5-6 inches of snow. 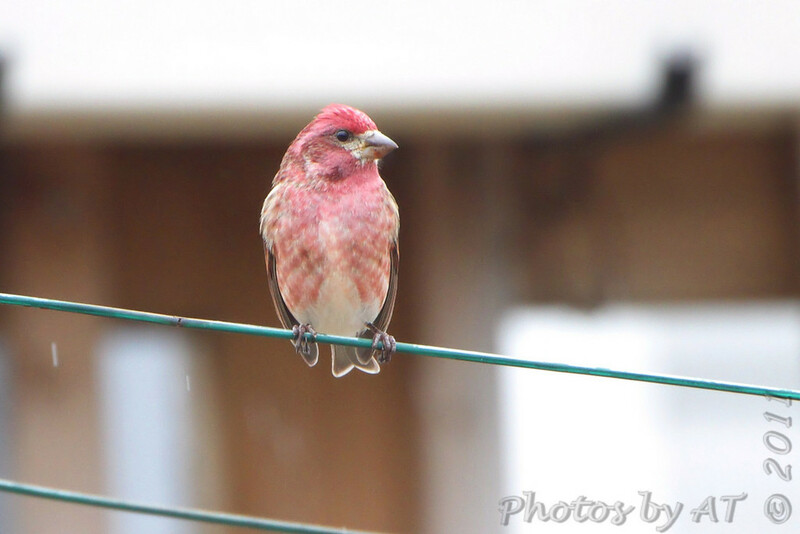 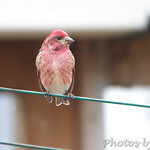 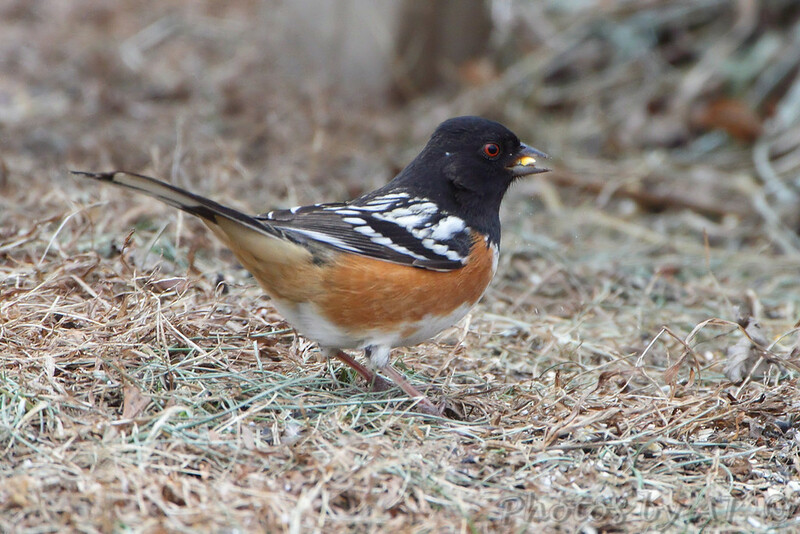 This is only the 4th record ever for this bird in Mo., last one in 1993. 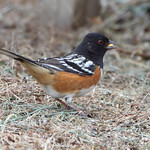 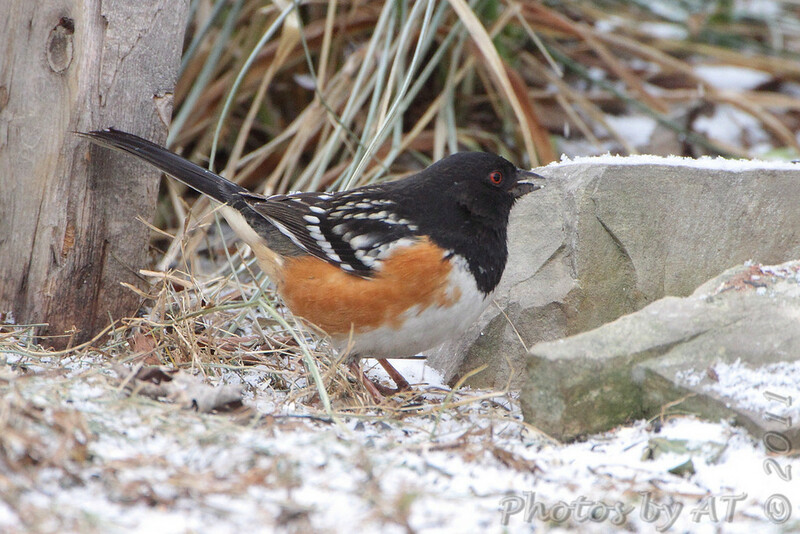 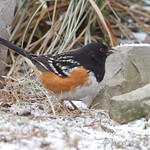 A bonus was also finding a Spotted Towhee there. 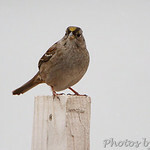 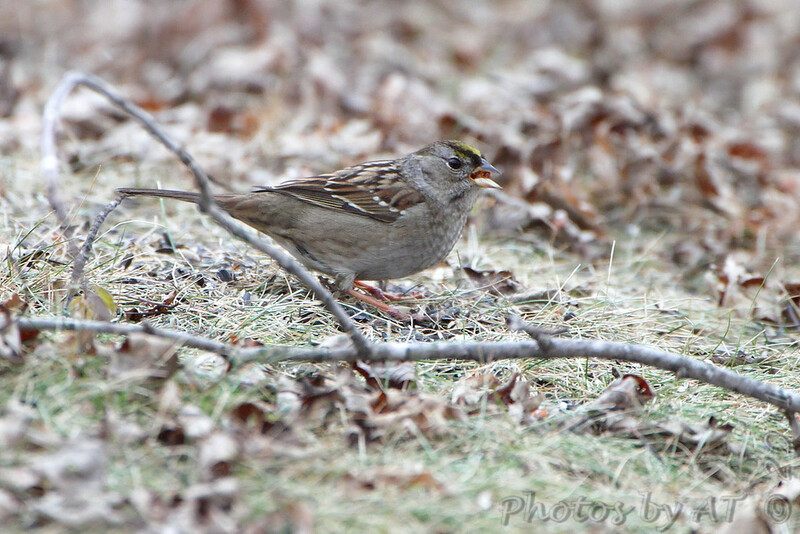 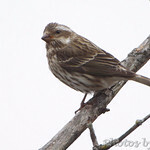 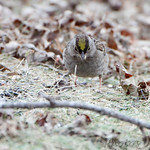 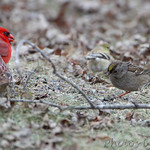 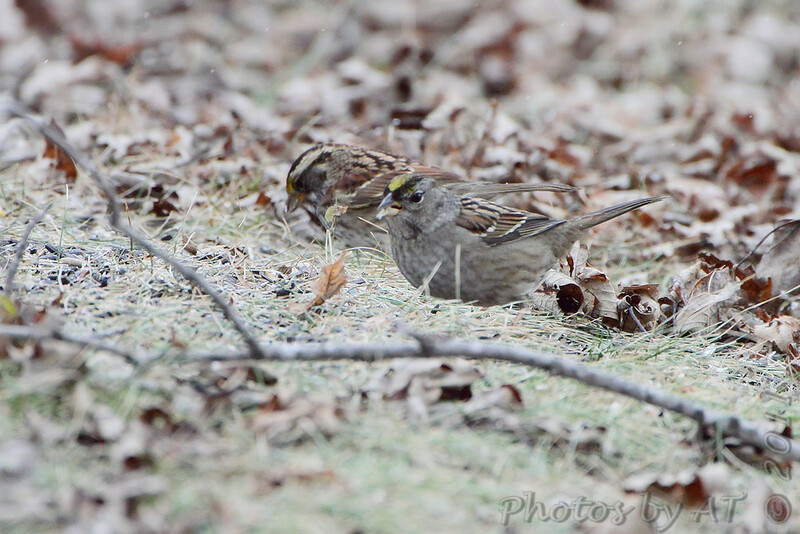 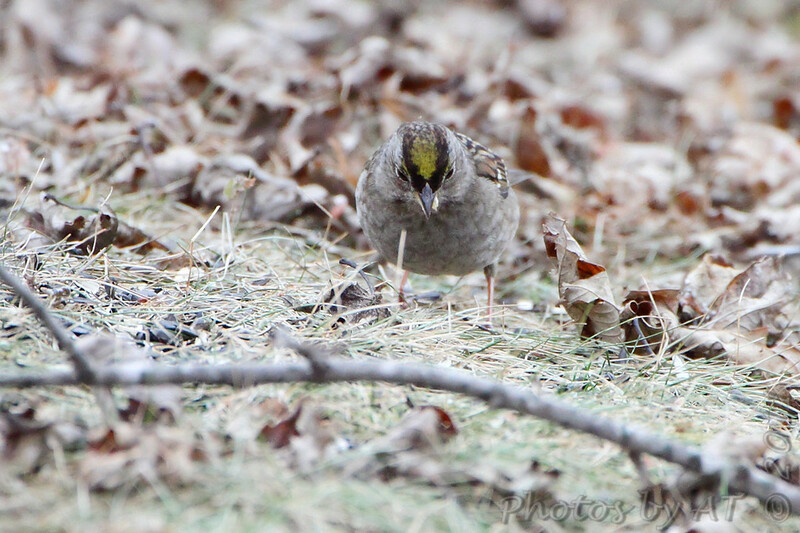 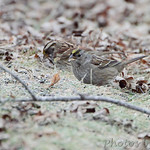 The Golden-crowned Sparrow is my 295th "Bird Species Photographed in Missouri".